The revolutionary Neotech Soft Sax Strap actually helps reduce uncomfortable neck and shoulder pressure, fatigue and bounce. The innovative design incorporates neoprene with a comfort-stretch backing. This combination allows the weight of your instrument to be evenly distributed over a larger area on your neck and shoulders while absorbing the shock of your movements. 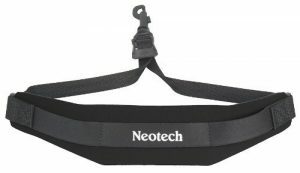 The Neotech sax strap has a closed swivel hook for added security. The soft sax strap is strong and durable but the key thing is that it makes your instrument feel lighter and more comfortable. You’ll definitely be able to tell the difference! 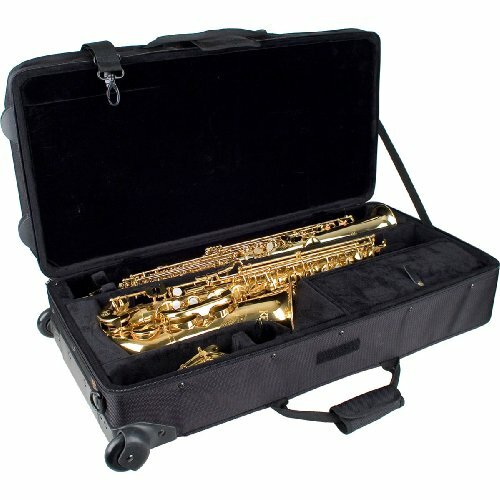 The soft sax strap is available in three sizes: Junior, Regular and Extra Long, and in six different colors. This is always a best seller, and it can be yours tomorrow.